Claude Muncaster was a marine and landscape painter, who specialised in watercolour painting. He travelled extenisively from a young age and during the interwar period made long distance voyages as a deck hand but also artist, including trips to Australia and the sub-continent. 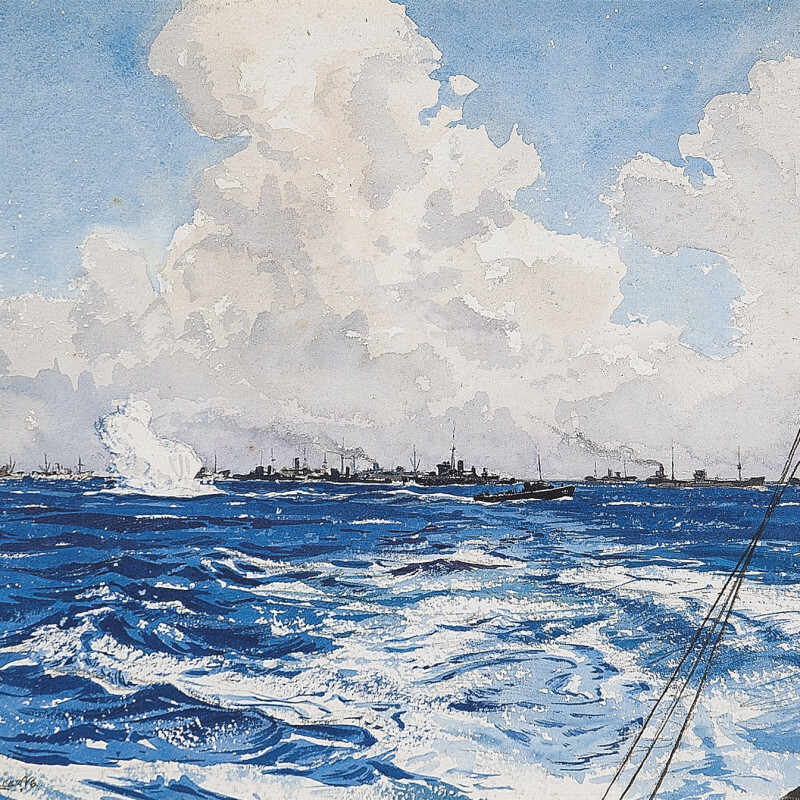 His experiences at sea led to his recognition for painting deck scenes and documenting day to day life at sea. During the Second World War Muncaster was a lieutenant-commander, R.N.V.R. as well as a camouflage advisor. He exhibited at the Royal Academy and Society of Marine Artists, serving as President following the death of Charles Pears in 1957. Muncaster’s work is included in the Tate and National Maritime Museum collections.